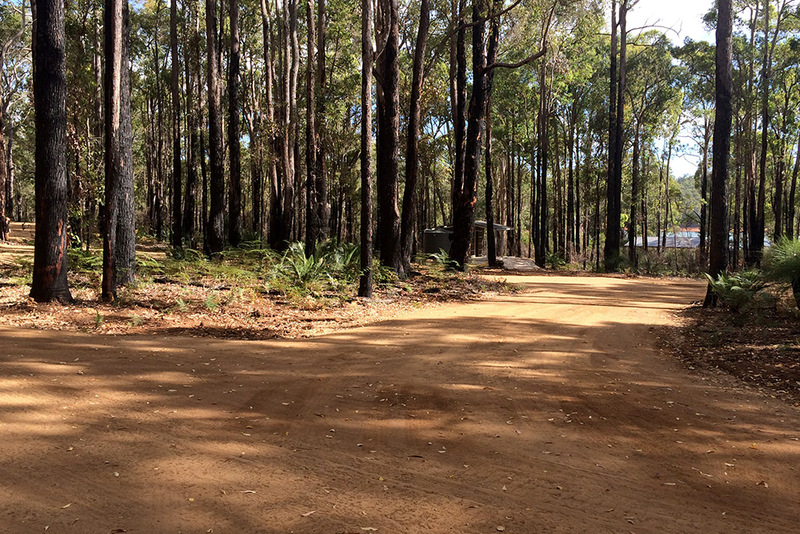 Potters Gorge Campground is located in the Wellington National Park near Collie, in the South West of Western Australia. 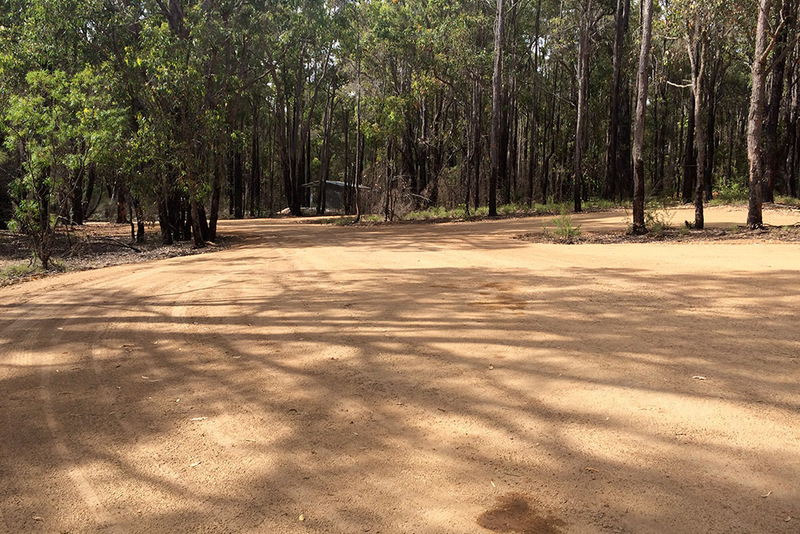 In 2015, the Department of Parks and Wildlife (DPaW) undertook a program of rehabilitation works at the campground to expand and improve services for users. 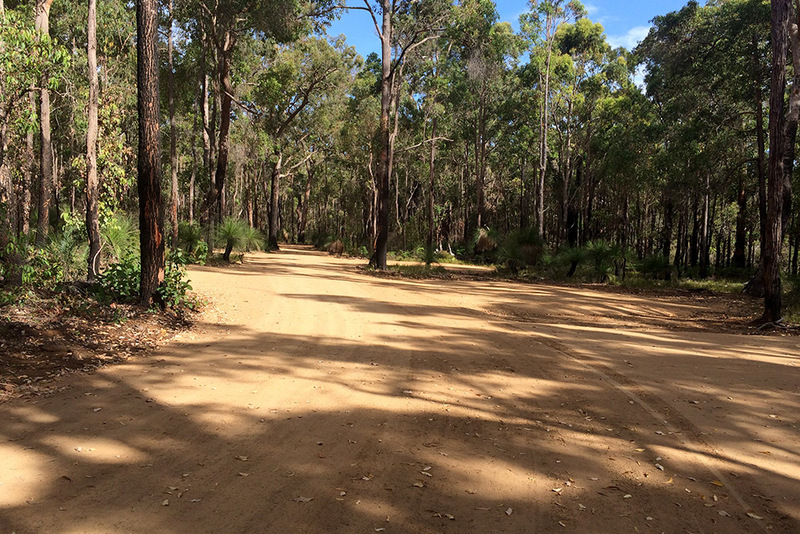 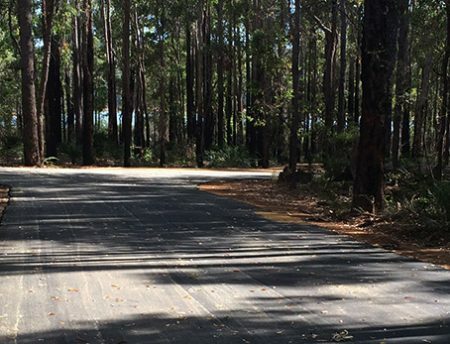 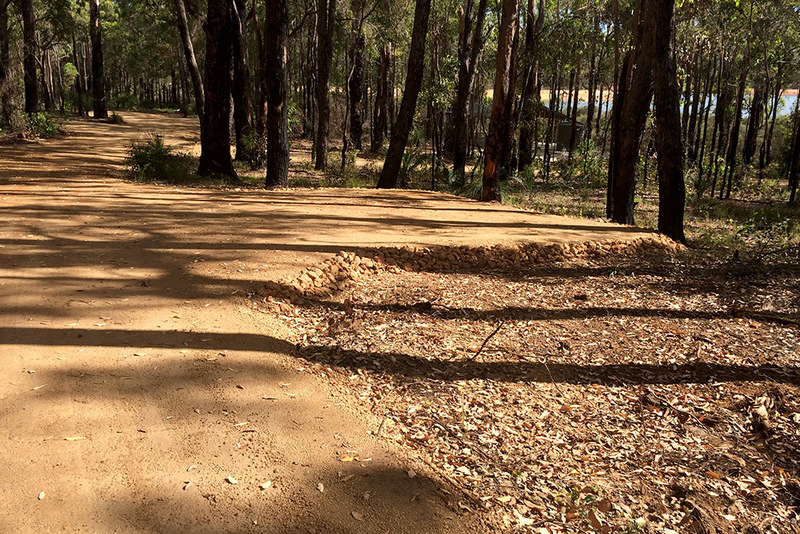 Leeuwin Civil completed the construction of three 3km long, 3-5m wide gravel loop roads; more than 60 camping bays; and rock pitching at designated areas throughout the National Park. 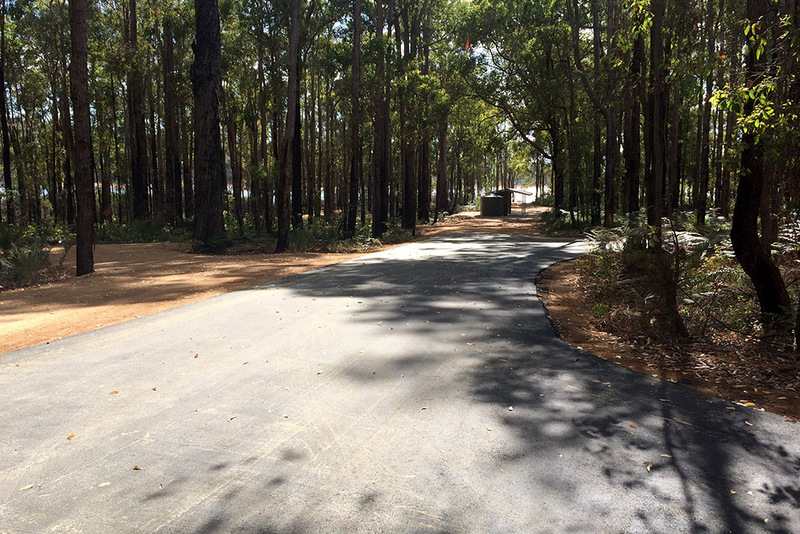 A new bus laydown area, waste deposit and asphalt loop road was also constructed at the entrance to the campground. 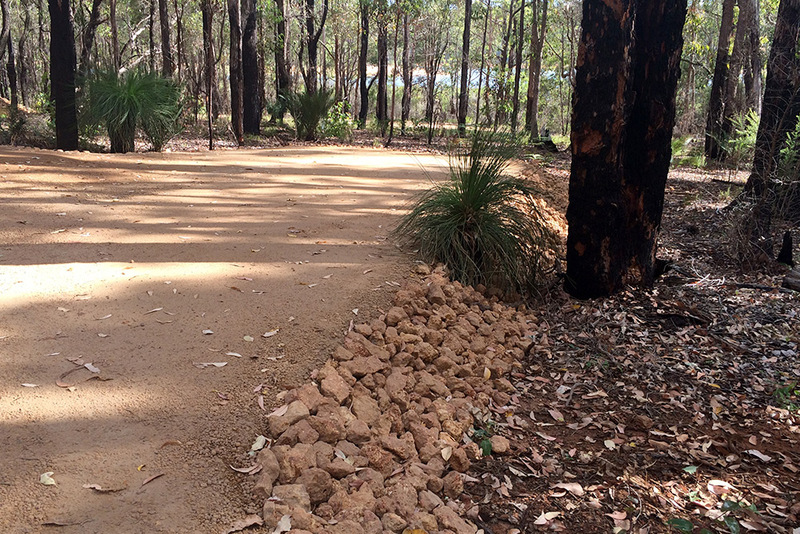 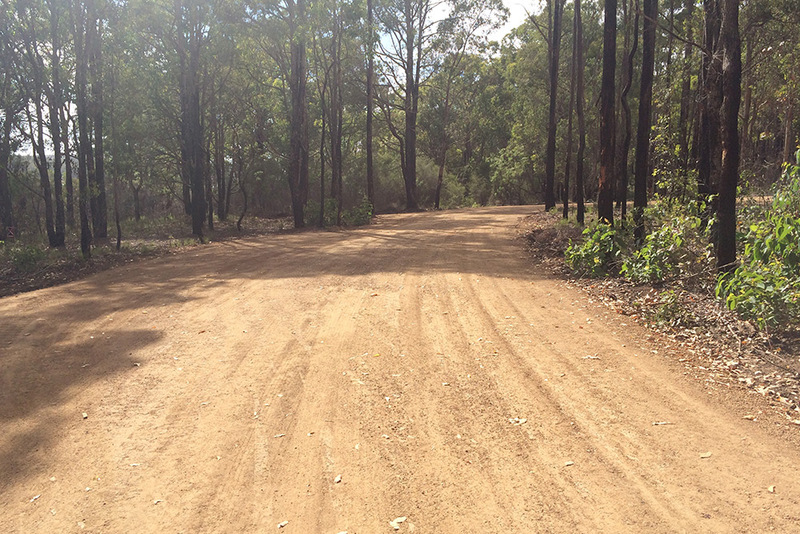 Works also ensured the use of local resources including gravel, which was imported from within the Collie region. 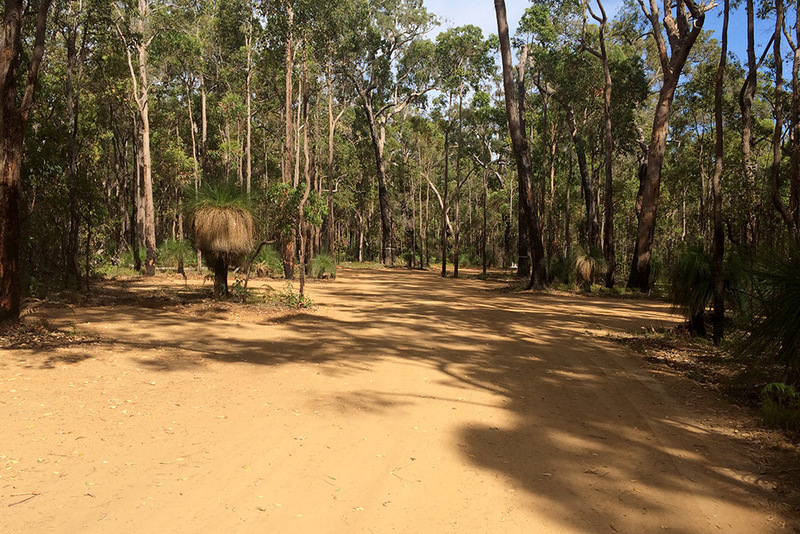 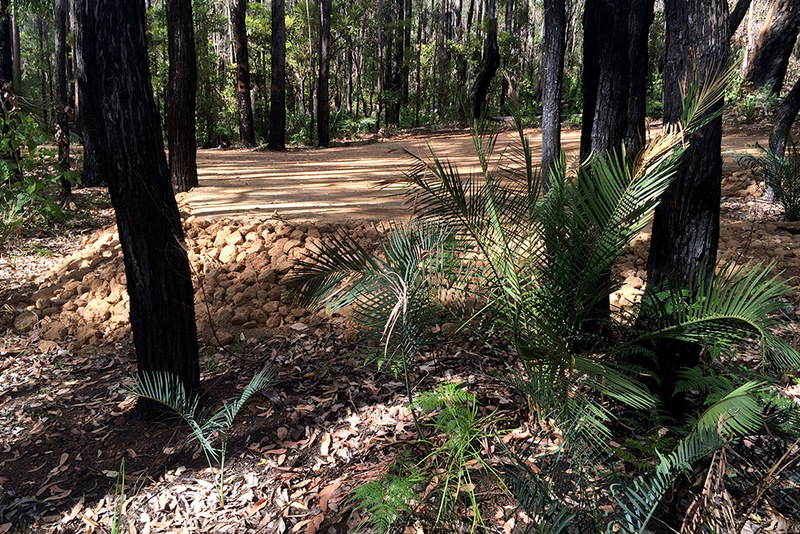 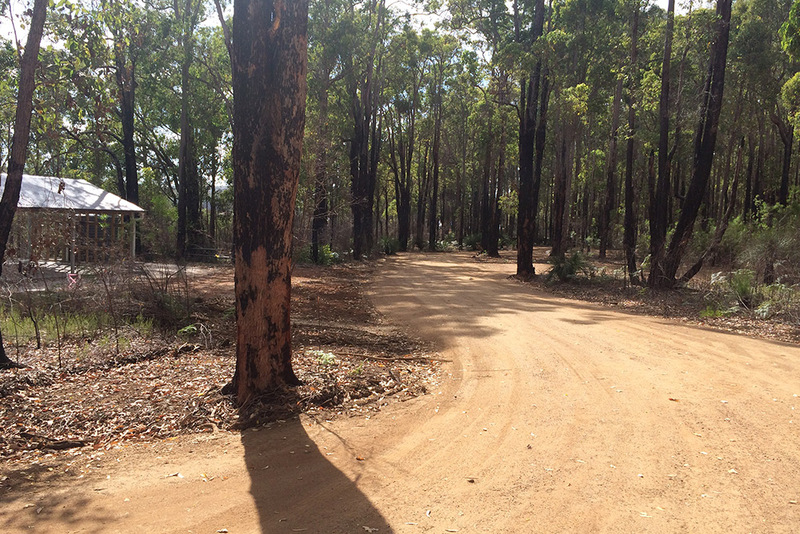 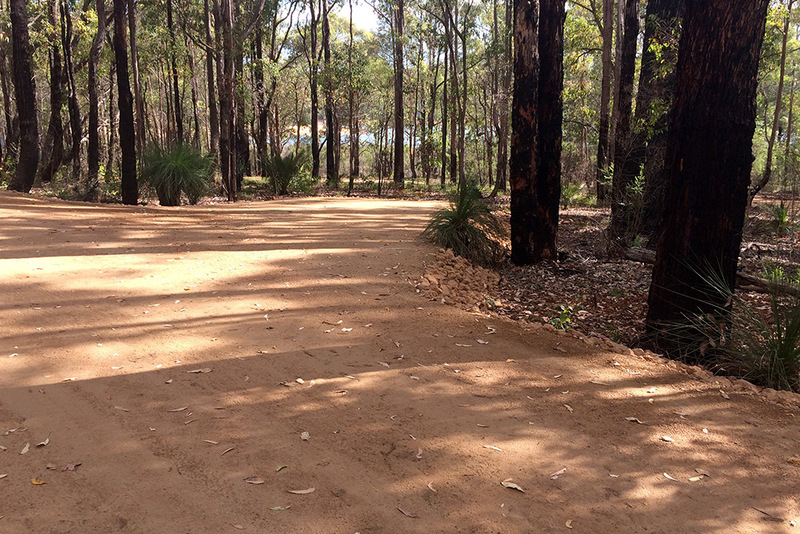 Leeuwin Civil won works on the back of the quality and environmental management of works completed at Conto’s Campground in Margaret River, also for DPaW. 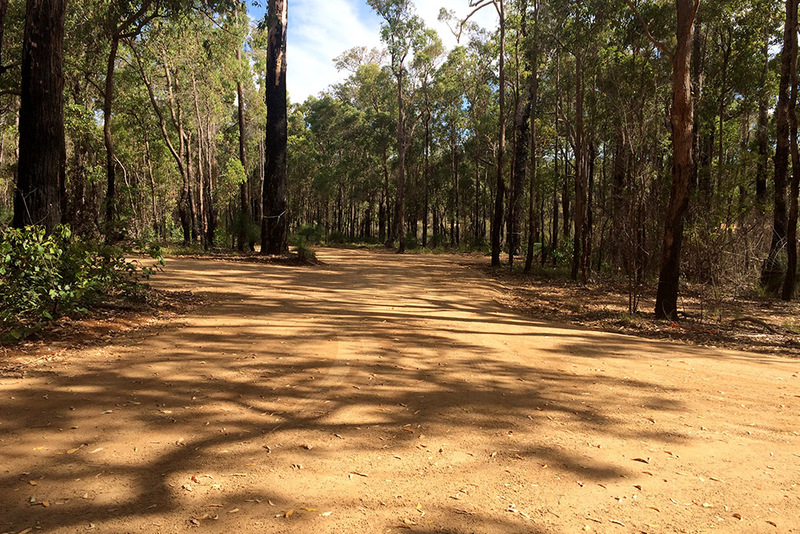 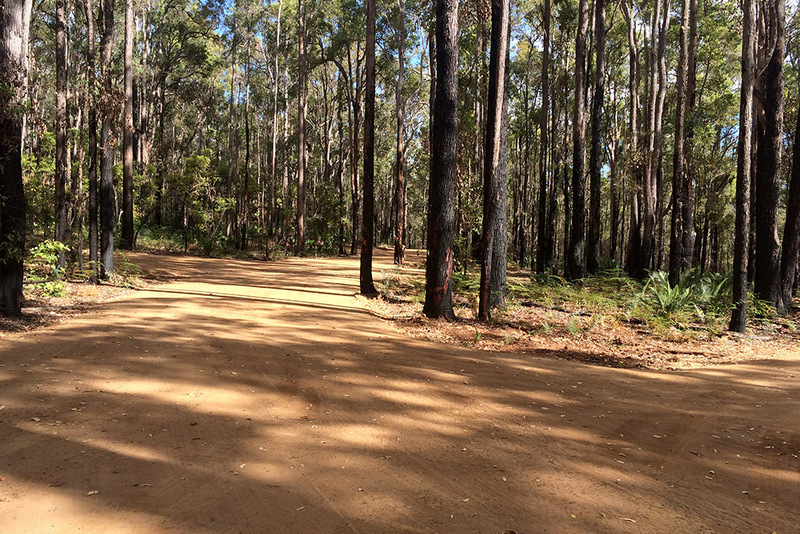 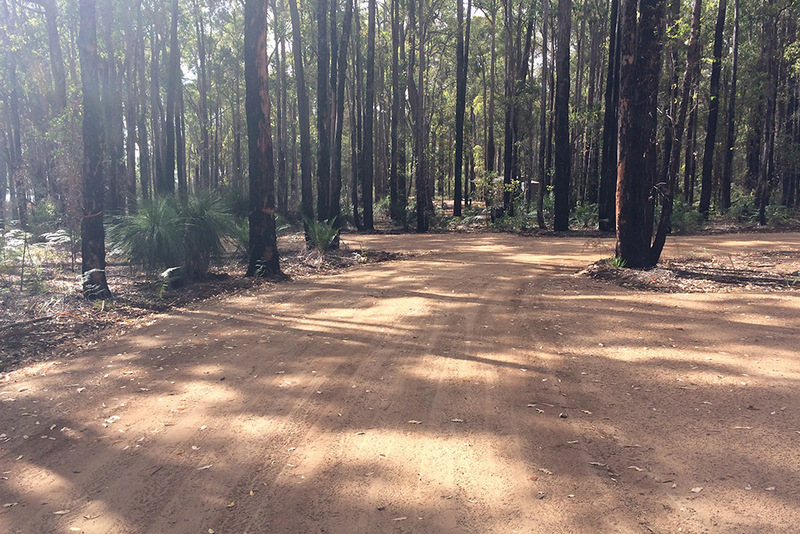 Similar to Conto’s Campground works, the safety of crews in relations to environmental management was a top priority, especially as they were taking place during the summer months where temperatures are accompanied by the threat of bush fires. 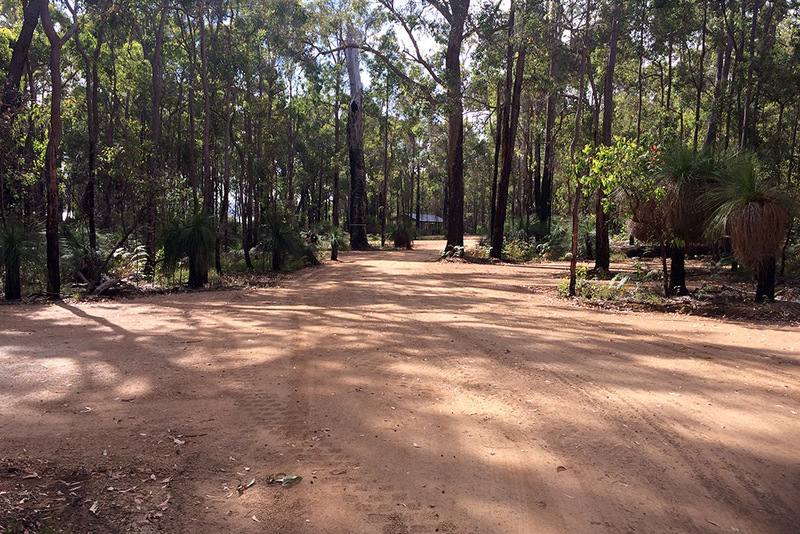 An example of environmental responsibility was the use of a self-bunded fuel tank with an additional bund constructed around the fuel tank for added security.As normal phone reception was not achievable in places satellite phones were adopted for added safety. 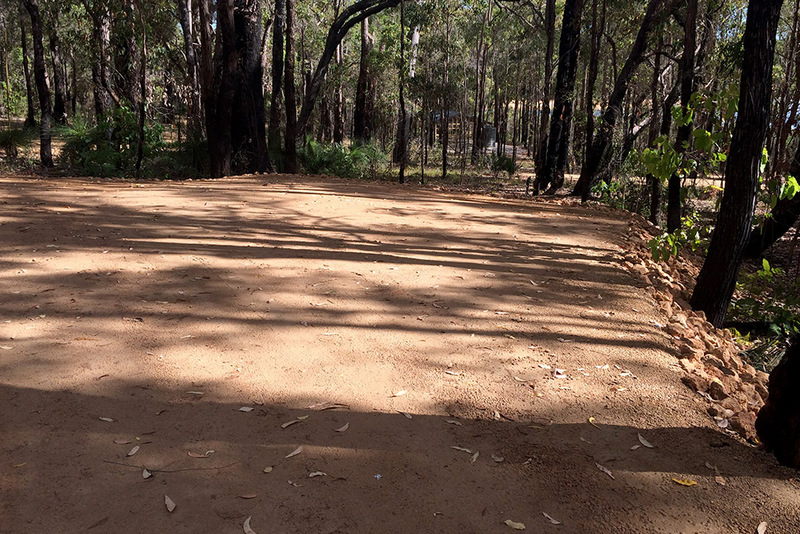 During construction, close consultation was also maintained with the DPaw contractors who were constructing the new toilet blocks and BBQ areas adjacent to works. 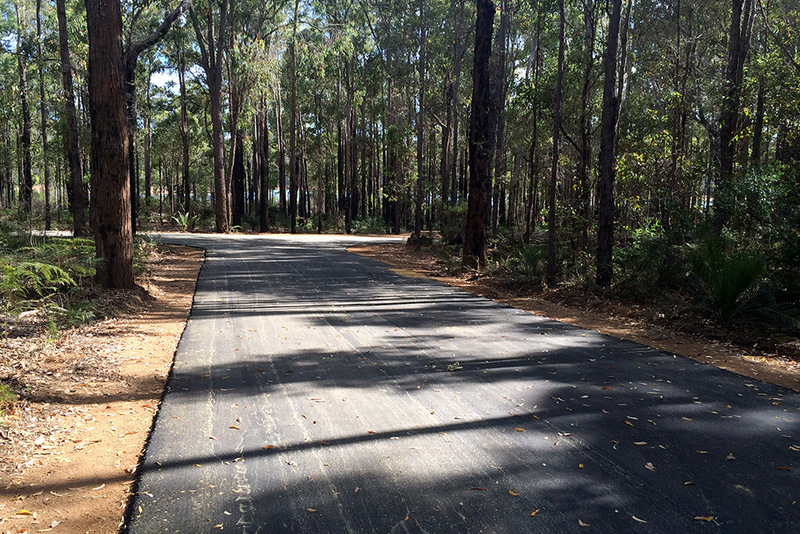 asphalt loop road construction at the park entrance.